Although mostly concentrating on verbal traditions put into form of written texts, melodies were also included in the subject range. In April 1926 the first Edison phonograph was purchased. In September of the same year, two more phonographs were acquired, both Excelsior models manufactured in Cologne, Germany. The first phonograph recordings were made in 1926 by Anna Bērzkalne, the first Head of the ALF. The last recordings were completed during the field work session of the Folklore Institute carried out from June to September of 1947 in eastern Latvia. 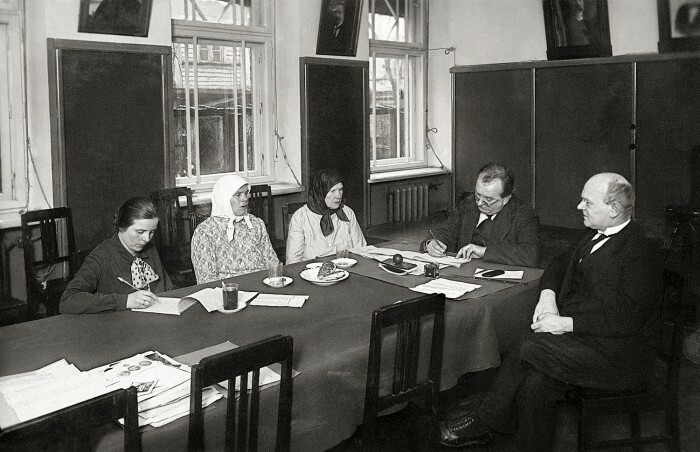 This was the last occasion where phonograph recordings were used for folklore archives in Latvia. The aim was to record as many melodies as possible. Usually, only the first stanzas of the longer text sequences or songs were recorded, since the duration of cylinder was only 3 minutes. Two main types of vocal music were recorded – classical Latvian folksongs with ancient melodies and ziņģe (from German singen), which emerged in the 18th century. Despite the fact that several of these melodies are preserved only on the original cylinders and were later lost, they yielded significant results. The recordings were ultimately transcribed by Latvian composers Artūrs Salaks and Pēteris Barisons. The cultural value of this record collection prevails over the antiquated technical characteristics. Some of the wax cylinders have been irrecoverably damaged, thus making the listening difficult. In 1998, the whole collection of the preserved cylinders was re-recorded onto magnetic tape by the engineer of Phonogrammarchiv of the Austrian Academy of Sciences, Franz Lechleitner, with the assistance of two members of the ALF staff, Aldis Pūtelis and Zaiga Sneibe, and later digitized by Aldis Pūtelis. Today, there are 180 wax cylinders the ALF. More than 1000 melodies are available online as a distinguished collection of the ALF’s digital archives www.folklore.lv, and they will be available soon on Europeana Music.